Excellent condition Wizardry 8. Game comes complete with original box, CD sleeves and manual. Everything is in superb remarkable shape. 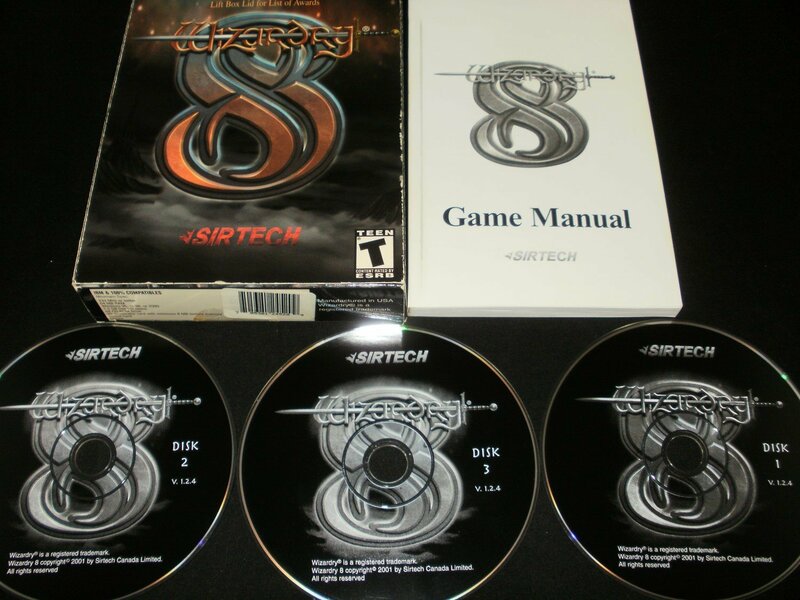 The last and best in the series, Wizardry 8 is SirTech's swan song and greatest work IMO. With superb music, good story and excellent challenge Wizardry 8 is one of the best turn based RPGs of all time. Truly a masterpiece that must be played; I salute you Wizardry 8!